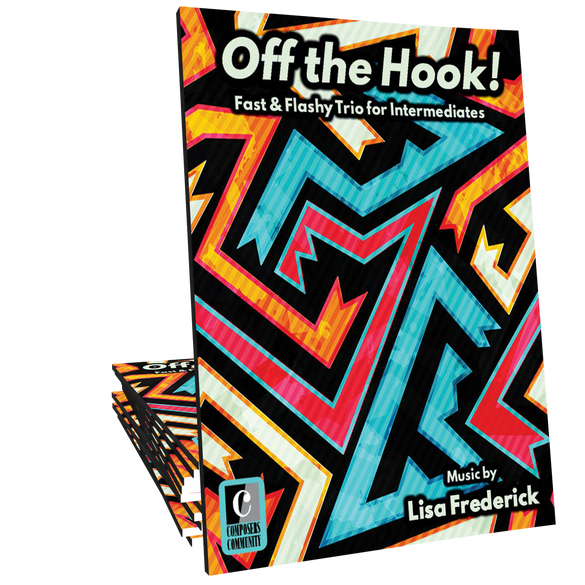 Off the Hook is a flamboyant, rhythmically driven trio for six hands and one piano by Canadian composer Lisa Frederick. 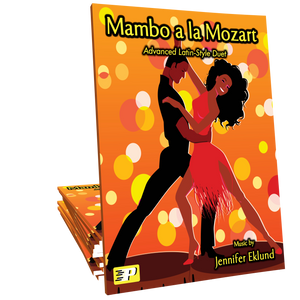 This showcase ensemble work will be a hit with intermediates of any age and will blow the roof off at your next recital! This is such a motivating piece with lots of energy and excitement! What a cool piece of music! I have two teenage girls that are SO excited to get started on this piece after I showed them it at their last lesson. With so many twists and turns, and so many layers, it is truly "Off the Hook"! Holy mackerel, this piece is tremendous! It's easier than it sounds, and will come together quickly. Fans of retro video games will immediately see images in their head of their 8-bit hero journeying to save the beautiful princess. Audiences will be thrilled and students will beg to be allowed to play this in future recitals!